Wavves may not have been the literal first band to usher in the surf-punk revival of the late aughts but they remain the most interesting remnant of its advance guard. California now sports Beach Goth music festivals, entire record labels devoting themselves to duplicating the lo-fi guitar crunch present on early Wavves albums and the cult surrounding this kind of music remains strong even as its initial crest wanes in the new millennium’s teens. V is most interesting due to its utter disregard of these facts. Nathan Williams isn’t trying to push music into new waters here. He’s not even trying to reinvent his own wheel. Instead, he’s recorded perhaps the least distorted album of his career on every level. The guitars are still crunchy, but they’re not fuzzed out completely as they’ve been in the past. Williams’ own singing isn’t put through any filters either. In other words, there are no cheats here: no basement recording techniques, no particular deviations from the conventional to give this record an artificial air of hipster cool. These songs stand bare on their own for what they are: punk rock with an ear for pop catchiness. On the positive side, Williams is very talented at writing the sorts of songs that’ll be stuck in your head for days. There’s a simplicity to them, lyrically and melodically, that’ll tack to your brain on the first listen. The downside is the same facing any music possessing this quality: a lot of it ends up sounding self-referential and similar while not really bearing many traits to distinguish it from the other hundreds of songs you could just as easily be humming for a week straight. This is especially concerning given there’s such a huge proliferation of musicians making music of Williams’ ilk. Luckily, there’s still enough distinction to his own delivery to set him apart from his hordes of followers. There’s a self-deprecating confidence and degree of self-awareness he seems to possess which, when coupled with his innate ability to craft a good old-fashioned pop song, ends up creating an aesthetic tweaked just enough to sound both different and similar to the listener. 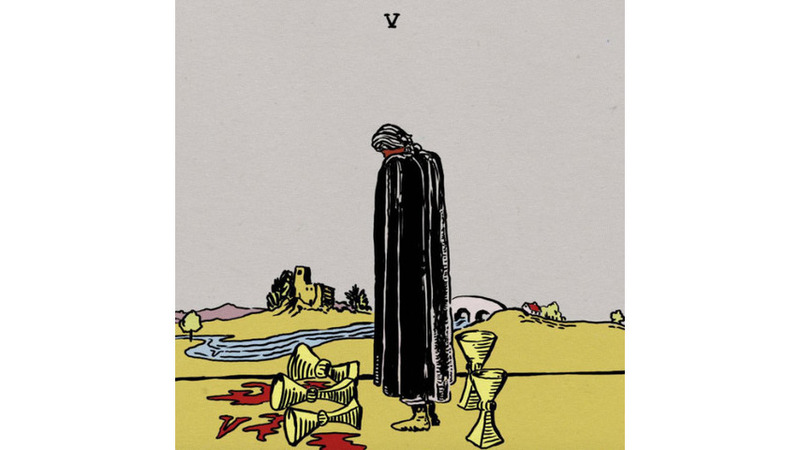 Some tracks on V are a little easier to pick out as standouts on the record and even in Wavves’ general catalog. The jangling guitars on “Pony” are as Smiths-y as they are surfy, and yet Williams keeps the whole thing sounding like it’s his blueprint being executed to perfection. “All the Same” has riffs you’ll be rewinding to hear again as soon as they’re over. “Flamezesz” sounds like a house on fire filled with residents who are taking their sweet time to escape, a perfect blend of slack-rock and ascendant, incendiary riffs. Ultimately, there aren’t really any bad songs on this record, just songs that sound like something you may have heard Wavves or another band like them do before. It’s really not such a crime though, considering there’s something about this kind of music that’s so fun you feel bad finding things to critique about it. Every song has got a riff, a chorus and an overall sense of energy Williams should feel very proud of. This isn’t supposed to be OK Computer; it’s supposed to be the kind of record you play with your friends in the car on some long drive. V can soundtrack your youthful nostalgia and make it all seem a little better than it probably was. Who can really complain about something like that?